A newcomer spotted at both the July and September motorhome shows was the Adria brand of motorhomes and caravans. These models are built in Slovenia, but to Australian and New Zealand specifications to meet the challenges of the different road and usage conditions in these countries. They involve a thicker chassis spec’, habitation door on our ‘kerb’ left side, higher ground clearance and the like, to suit our conditions. Once in New Zealand the vehicles are certified to local requirements with respect to gas, electrical, self-containment, EWOF, registration, etc. There are also upgrades that can be done with diesel heaters, solar power, and locally suitable TV and aerial solutions finalised to the client’s needs. The brand has plenty of pedigree behind it, being one of the leading RV manufacturers in Europe, won multiple design and product awards (during 2016 and 2017 in particular) for their motorhomes and caravans. The country borders on the Adriatic Sea so I imagine this is how the name originated back in 1965 when the first caravan, the Adria 375, was built in Novo Mesto. This was exported to and sold in Sweden – just the start of their export market. 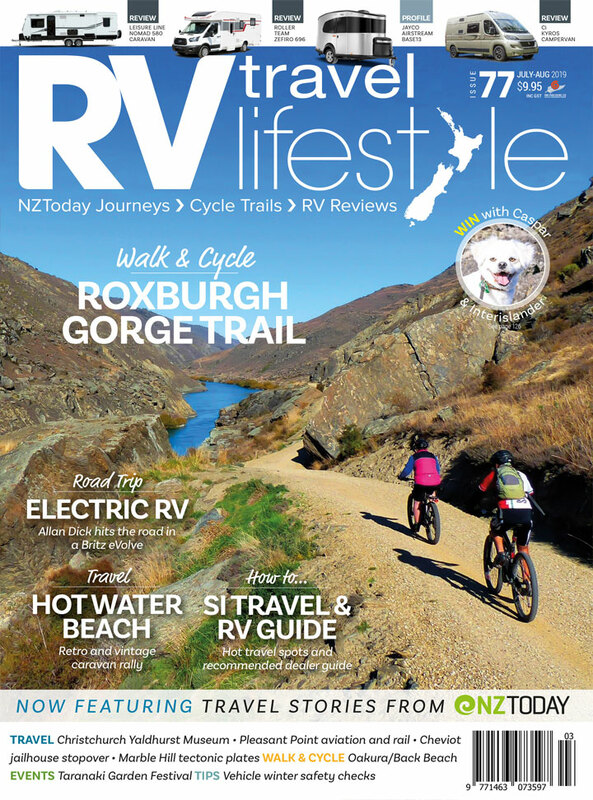 Apollo Motorhome Holidays in Australia have the distributorship down-under, and from Australia, New Zealand distributors are bringing Adria to New Zealand – these are the RV Mega Centre in Mt Maunganui and Freedom RV in Christchurch – with a range that is perfect for our roads. We look at a motorhome and a caravan that have landed recently. One of these models just might tick all your boxes – certainly worth making sure you check out the brand if you are looking to buy your first RV or upgrade your current RV. Chassis: Based on the Fiat Ducato Euro 6 four-cylinder 2.3L Multi-jet II 134kW (180bhp) engine, with six-speed ComforMatic auto transmission. So, reasonable grunt for our roads and with the very popular automatic gearbox, and tweaked up with all the latest ABS, EBD (electronic brake force distribution), ESC (electronic stability control), ASR (anti-slip regulation) you could want. Then they added rear air suspension, AL-KO tyre pressure monitoring system, Traction Plus system with HDC, and nice 16˝ alloy wheels – whew there really is a lot going on nowadays to keep us safe. Construction: Side walls and roof made of structural sandwich panel with hail-resistant FRP exterior and breathable kiln-dried ply interior. Luton and rear walls are made of impact-resistant ABS, and sidewalls and skirtings are aluminium for easy repair. Insulation is a combination of SPS Styrofoam and EPS Styro to floor, walls and roof. The exterior finish is Polyester sealed FRP. Adria call this the Comprex body construction method. Windows are double-glazed acrylic with fitted flyscreens, blinds and curtains. Dimensions of this model: 7380mm(L) x 2375mm(W) x 3130mm(H), internal height 2040mm. GVM 4400kg, tare 3490kg, payload 910kg. Bed sizes: Front dinette conversion 2100x1300x740mm. Rear island 1920x1500mm. Luton 2100x1400mm. Five-berth and seatbelts fitted. Heating – Truma Aventa 2.4kW comfort air conditioning, Truma gas/electric 14L hot water system. Fridge with separate freezer – 177L. Three-burner gas hob bench cooker, with combined oven and grill below. The internal finish is very much like a luxury hotel room with the finish on the walls and the cupboard and drawers – quite an understated luxury look, definitely reflecting its European heritage. This is a four-berth caravan coming in at 8232mm total length, 2356mm width and 2580mm height. Weight is 2000kg with a 300kg payload so tare is 1700kg. Hitch weight on the towball is 120kg. Chassis ground clearance is 200mm. Built on a hot-dipped galvanised chassis with twin AL-KO IRS axles, with AL-KO shock absorbers, over-run braking system, anti-sway coupling and reinforced wind-down stabiliser legs. Construction is same as the motorhome. Heating – Truma Combi 4E CP plus combo gas/electric heater and hot water, 10L capacity. Water – 130L fresh and grey water. Toilet cassette 17.5L. Fridge with separate freezer – 190L. 15 Amp battery charger with 100Ah deep cycle battery.